(EM) Vigorous, taller form, height 70-80cm. White semi-double flowers with blue backs 9cm across. Continuous flowering mid-June to end October. For fertile soil in sun or shade, here it flourishes in deep shade. 1 litre pot. (EM) Stunning new Anenome hybrid raised on our nursery. Chelsea Plant of the Year 2011. Large white flowers with distinct blue banding on the reverse. Opening throughout the day, the flowers close to bells with a beautiful nodding habit in the evening and early morning. Exceptionally long flowering season, from early June through summer and autumn. 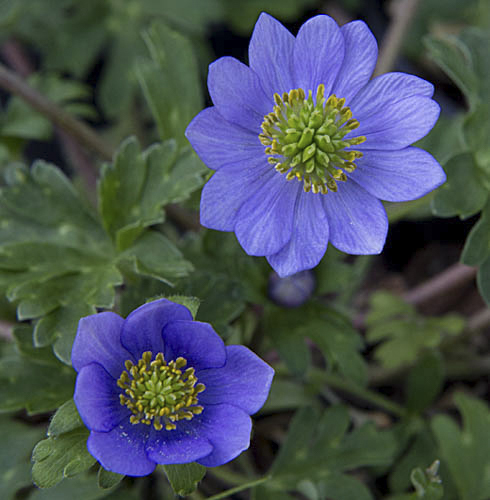 It has a vigorous habit and does best in a rich, fertile soil and semi-shade. Later flowering benefits from removal of spent flower stems. 45-60cm. high. USPP, PBR 1 litre pot. Ferny foliage, producing upright stems of white single flowers in mid-summer. Part shade, 30cm. high. Beautiful, compact blue Anemone with multi-petalled flowers, larger than usual for this species. From late spring and sporadically throughout summer. Prefers dampish soil and semi shade. 15cm. high. 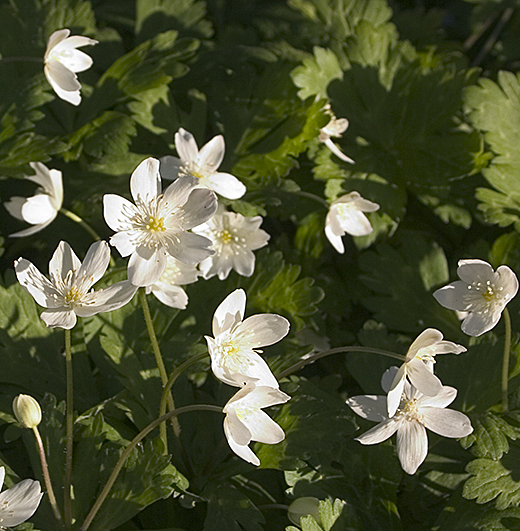 A beautiful wood anemone with large pale powder-blue flowers during spring. Summer dormant. 15-20cm. high. Fantastic to naturalize beneath trees and shrubs. 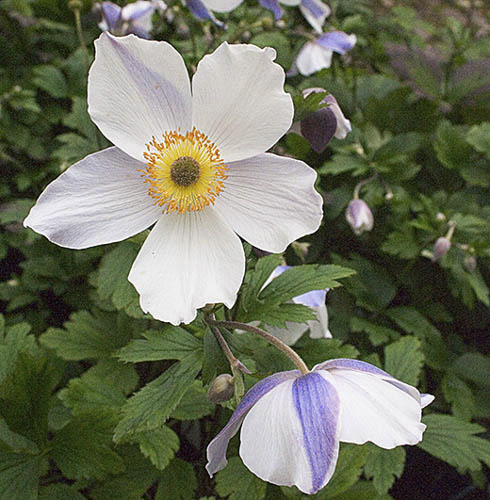 A favourite anemone with upright branching stems carrying masses of blue-backed white flowers with contrasting blue anthers. Looks especially good planted in drifts, in naturalistic planting. Easy in any soil. 50-60cm. high. 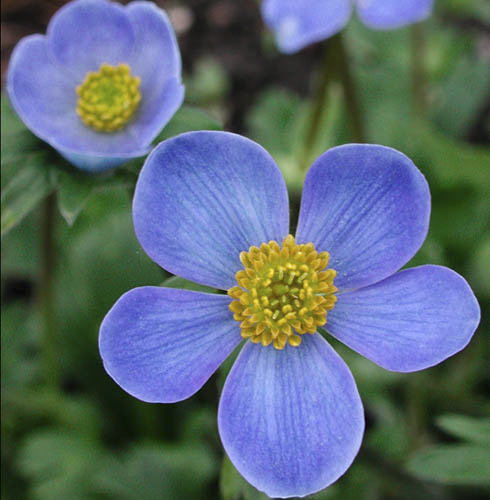 Clumps of soft green foliage produce the most exquisite blue flowers, varying in shade from palest sky-blue to deep, almost royal-blue. Flowers profusely in early summer, then intermittently until autumn. Easily grown in fertile and not too dry soils, in sun or part shade. 15-20cm. high. As beautiful as the blue form, with yellow centred white flowers, dark blue on the reverse. 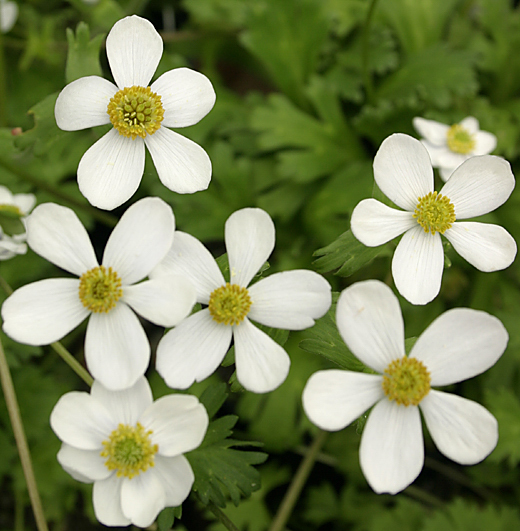 There are few plants more lovely in late summer & autumn than the Japanese Anemones. Spreading quickly in compost enriched soils they are equally happy in sun or part shade. Strong stems carry masses of golden centred flowers in shades of pink & white, from early August until the frosts.